Shigiya developed the GACL-20 compact CNC angular cylindrical grinder as a flexible, cost-effective alternative for all production lines. 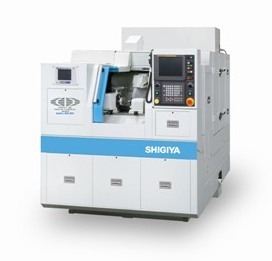 Boasting the smallest footprint and fastest speed in Shigiya’s compact angular grinder series, the GACL 20 is ideal for new shop construction or locations where space constraints restrict equipment expansions. It is extremely adaptable to applications requiring individual precision components, as well as small- size and large-size grinding.